I must admit I am picky when it comes to food stuff I watch on television. I am not into the newer game show type programs that have consumed food television in recent years. Oh, I won't say I NEVER watch the occasional episode of Chopped or Cupcake Wars or whatever but as a general rule I tend to gravitate toward real cooking shows. There was a time in the culinary world where women were just not allowed to enter that world but ladies like the ones I am sharing below plus many others have changed that for so many of us. Here I am in 2016 when just 50 years earlier I would not have even been allowed to attend culinary school. This post is in praise of the women who have knocked down and continue to knock down walls in the culinary world. It is a better world for knowing these ladies! 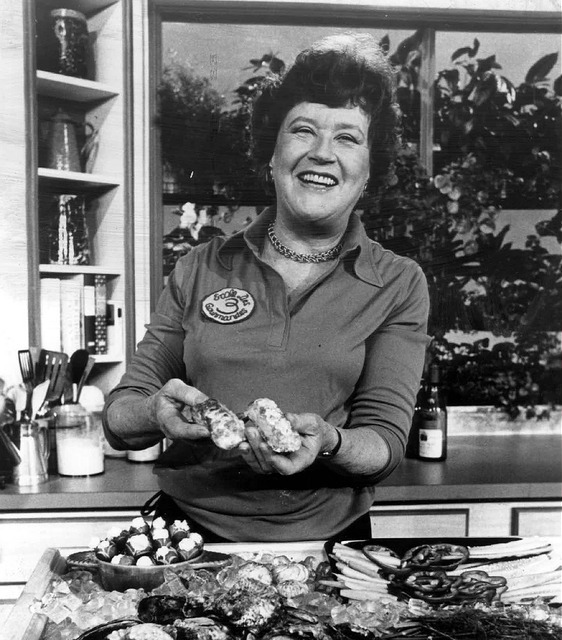 I don't even have to mention that she wrote cookbooks, do I? The camera loves Nigella and so do all the men who have ever seen her! 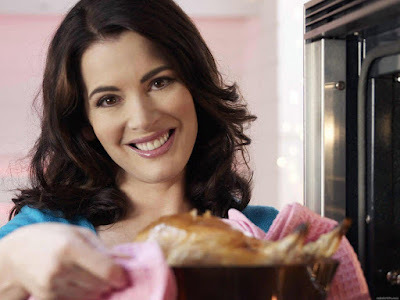 LOL The coolest part about Nigella is that she is so much more than a beautiful woman. She is a writer and a home cook who manages a small enterprise that has become world renowned. She is not some skinny little person who is afraid to eat. She is gorgeous and healthy and is not afraid to sneak chocolate cake from her refrigerator in the middle of the night for all the world to see. She makes real food for all occasions and have you heard her speak? Well, then.... I rest my case! She is practically perfect in every way! 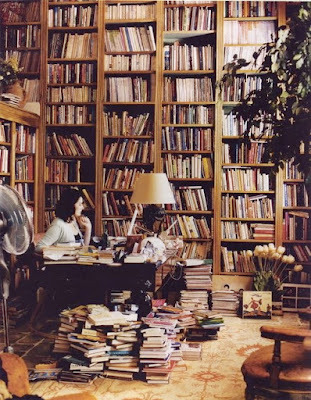 Oh, and have you seen her library??? 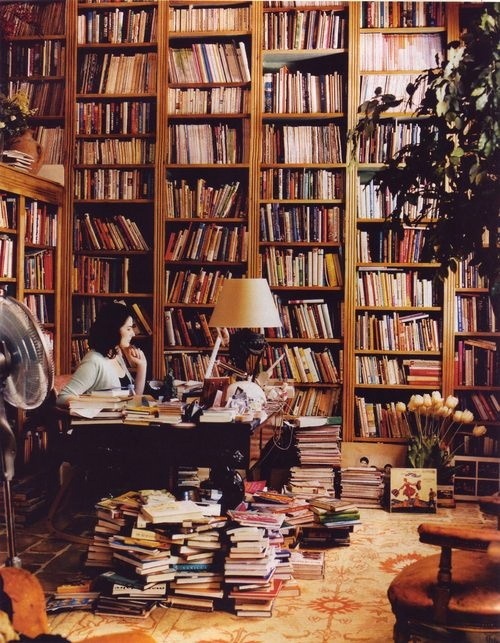 That is just cookbooks and food books! Vivian stole my southern girl heart from day one! She is a professional chef in North Carolina who uses local farmers and ranchers to provide great modern twists on old southern classics. She is creative and smart and very down to earth. She recently wrote a cookbook called Deep Run Roots.... that I own... and I love! It is an absolutely beautiful book. She breaks the book down into ingredients and shows us how to use each ingredient in some very delicious classic recipes but she also adds some more creative elements, too. Vivian is also a very knowledgeable woman who loves sharing her love of food with everyone. She is the mother of twins and wife of an artist and co-foodie and she juggles that life with a restaurant, promoting a book, being active in her local community and celebrating all the big and little stuff with her extended family. 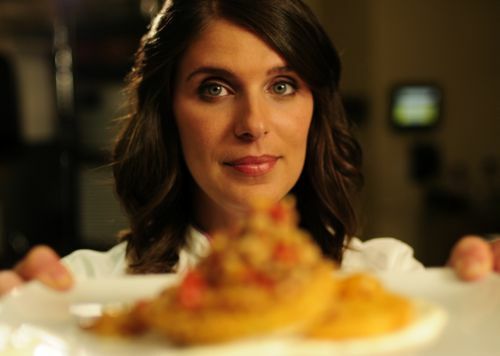 If you have never seen her show on PBS it is called A Chef's Life and if you are a foodie it is a must see! So, those are my favorites! When I need inspiration in the food world I just spend some time with these ladies in digital and cookbook form. Do you have a favorite chef or food person you enjoy watching? Do you have someone that inspires you to cook? Do you have a favorite cookbook you use often? Please feel free to share with us in the comments! One game show I do enjoy, because they actually cook and have lots of info on food history, is called The Great British Bake-Off but that is about the limit for me. It is also nice to watch Mary Berry. You should probably know who she is but I won't go into any detail here about her.... feel free to check out her website, though. I have two of her books, too! The Julia Child French Chef shows are available on Amazon, but have gone from free with Prime to $1.99 per episode. I love the little tips - like chilling your hamburger patties, then dredging them in flour before cooking to help them hold together. My favorite chef is Jacques Pepin. Love that the food is accessible - it's meant to be tasty and fresh and not "styled" (I really don't want someone to handle my food that much before I eat it, thank you!). I have several of his cookbooks, his autobiography and his "Techniques" book, which I'm slowly working my way through. While I enjoy the process, I appreciate greatly people who can help me get tasty meals on the table in a reasonable amount of time - and without having to use every dish, bowl and gadget in the house!